I love any excuse to celebrate Love and all that entails. 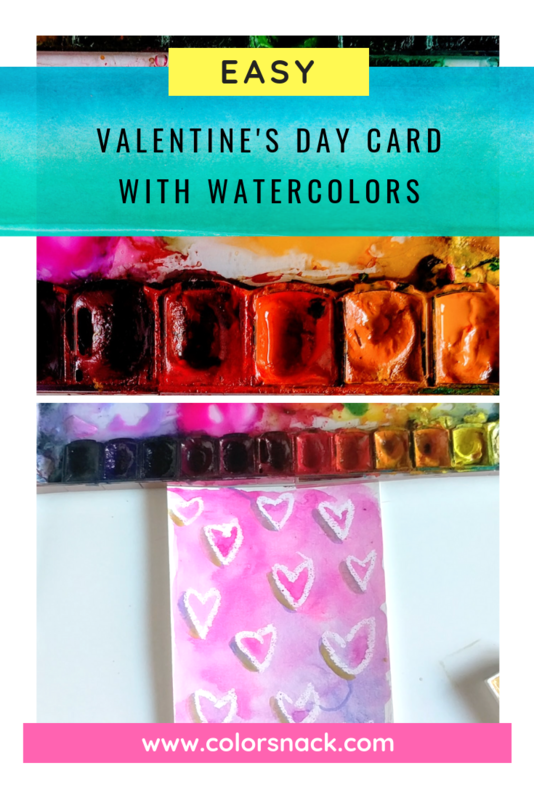 So I’m super excited to share with you today a fun and easy watercolor Valentine’s day card. 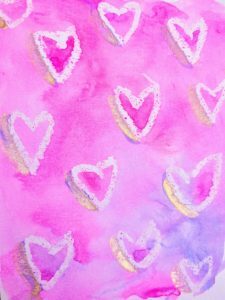 I used white oil pastels for the heart shapes and they created a nice resist to the watercolors. You could decorate a whole sketchbook page with this pattern or send it off to a friend who needs a reminder of self love.